For the fourth year in a row Game of Thrones has taken the crown for the most pirated TV-show on the Internet. The Walking Dead is firmly in second place, followed by The Big Bang Theory. 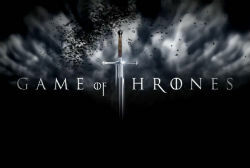 Game of Thrones has the honor of becoming the most downloaded TV-show for the fourth year in a row. With an estimated 14.4 million downloads via BitTorrent, the 2015 season finale has beaten the competition by a landslide. More than half of the downloads occurred in the first week after the show aired and the total exceeds the number of traditional viewers in the US. The Walking Dead and Big Bang Theory complete the top three with an estimated 6.9 and 4.4 million downloads respectively. Pirates have shown an increase in interest for higher quality releases compared to earlier years. However, the lower quality 480p copies of TV-shows remain by far the most popular among downloaders, followed by 720p and 1080p respectively. Game of Thrones’ top listing doesn’t come as much of a surprise. Earlier this year it broke an all-time piracy record when more than 258,131 peers shared the same torrent file simultaneously. Overall there is no sign that TV-show piracy is declining, on the contrary. The download numbers for the most popular shows continues to rise, sometimes exceeding the number of traditional viewers in the US. Below we have compiled a list of the most downloaded TV-shows worldwide (single episode) for 2015, together with the traditional ratings in the US. The download numbers are estimated by TorrentFreak based on several sources, including statistics reported by public BitTorrent trackers. Online streaming and downloads for file-hosting services are not included since there are no public sources to draw data from. Total piracy numbers will therefore be significantly higher.